Tropical Storm Ernesto, satellite image. 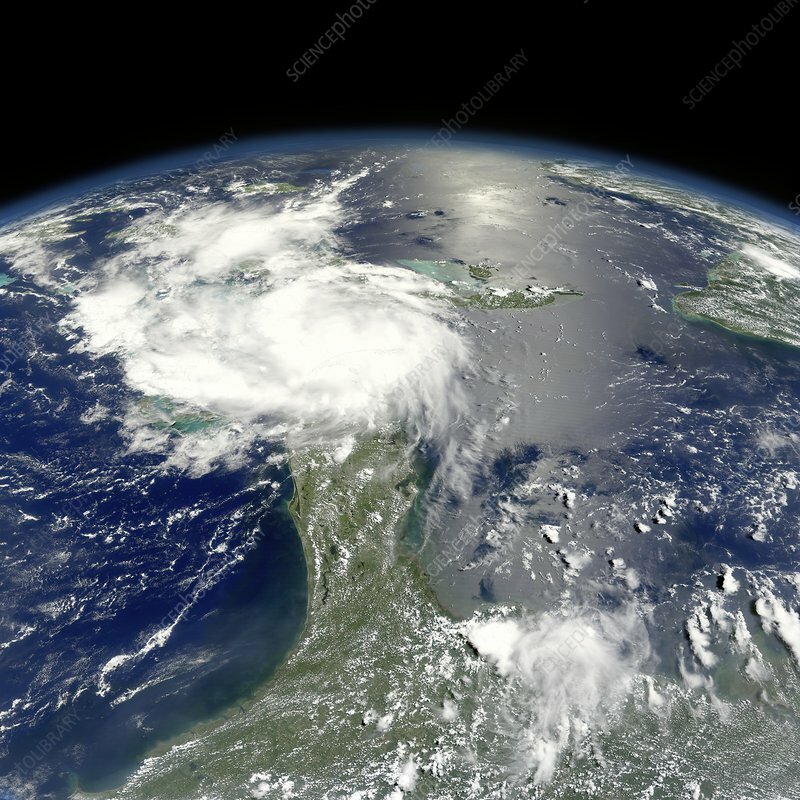 This view looks south over Florida, USA, as this storm (white clouds) made landfall on 29 and 30 August 2006. At upper left are Cuba, Jamaica, and Haiti. The land at upper right is part of the mainland of Central America. The Gulf of Mexico is at lower right. This storm, here several hundred kilometres across, intensified to reach near-hurricane status as it moved north for a second landfall in North Carolina (31 August). Image data obtained on 29 August, by the Moderate-resolution Imaging Spectroradiometer (MODIS) instrument on NASA's Aqua satellite, part of the Earth Observing System (EOS).